Watch: Get Out and Vote! On March 12, 2019, AMVOTE’S Executive Committee met with mayoral candidates Lori Lightfoot and Toni Preckwinkle. Although we found both candidates to be qualified to serve as Mayor of Chicago, AMVOTE endorses Lori Lightfoot for our next Mayor. We appreciate President Preckwinkle’s many years of effective leadership to the people of Chicago. However, AMVOTE believes Lightfoot’s message of change is real and attainable for our Middle Eastern community. She offers greater accessible to all minorities, and more opportunities in government to all minorities. AMVOTE is a nonpartisan, issues only PAC. 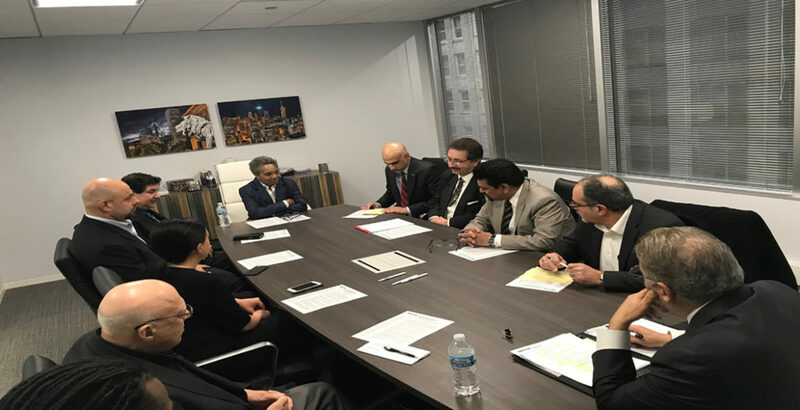 Our 34-member professional board represents a Chicago community of Arab-Americans and South Asian Americans of all races and religions. Get Out The Vote for Lori Lightfoot! Our endorsements are based upon an overall analysis of many factors, including (1) feedback from community members, (2) track record on minority issues, (3) qualifying record and/or history of candidate, and (4) community outreach efforts. We gather information on their positions from the internet, candidate websites, public debates and sometimes from the candidates directly. Unfortunately, we cannot evaluate candidates in every election, but rather select contests of importance to the AMVOTE community. Requests for endorsements emanate from the candidates themselves, as well as members of the AMVOTE Advisory Board, and our friends and supporters from the Arab and Muslim American Community. Not authorized by any Candidate or Candidate’s Committee. A copy of our report filed with the State Board of Elections (or will be) and available on the Board’s official website – www.elections.IL.gov or for purchase from the State Board in Springfield, IL.